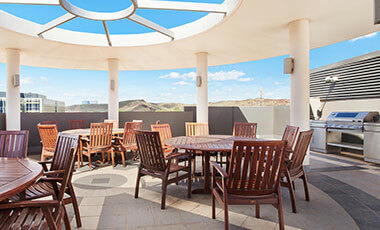 Meet friends around the pool, make the most of the Pilbara’s sunny days in the BBQ area, work out at the gym or head downstairs to the Blanche Bar for a drink or some tapas. Take a dip in the 20 metre swimming pool surrounded by sun lounges, casual tables and chairs. 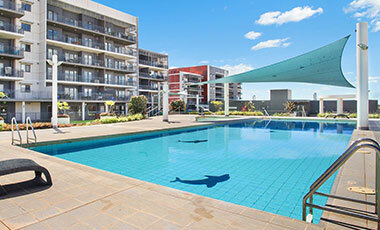 There are gas barbecues with stainless steel sinks for poolside, alfresco dining with family and friends. 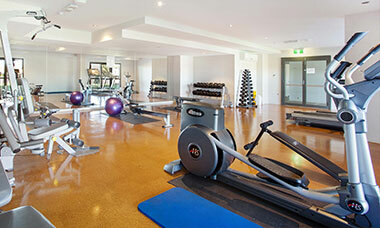 The state of the art gym has everything you need whether you are a gym junkie or just keen on keeping up your fitness. 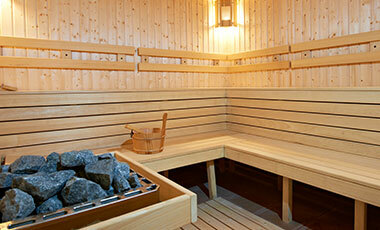 Relax, revive and emerge by letting your muscles relax and unwind in the timber lined sauna. 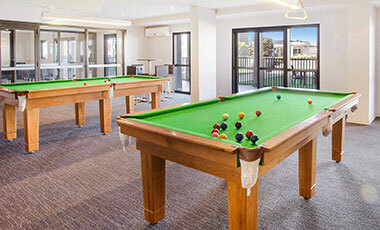 The games area has its own pool table along with a 42-inch LCD TV, whilst the bar is ready for entertaining. 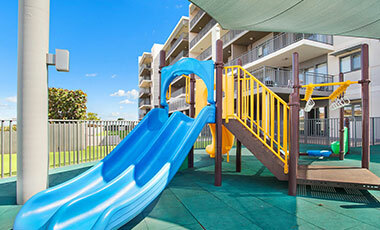 Kids will be kept happy with the synthetic rubber floored play area next to the pool deck. 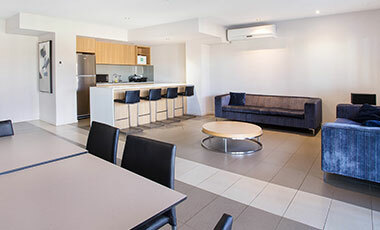 The residents lounge is equipped with a bar, sink, microwave and refrigerator, perfect for casual dining. 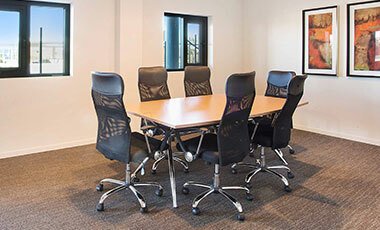 Execute meetings in the fully air conditioned boardroom overlooking the pool deck.